Average credit card rate, non-reward consumer cards: 15.32 percent. Average reward credit card rate: 17.55 percent. The overall trend in rates for new credit card offers continues to creep slowly upward, though most categories of credit card rates have not yet been affected so far this year. Student rates have been the most affected by rising credit card rates, both in the most recent IndexCreditCards.com survey, and since the beginning of 2011. Overall, consumer credit card rates were virtually unchanged since the last survey, moving a point higher to 16.89 percent. 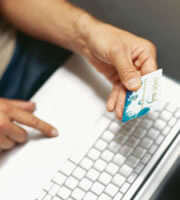 This includes both reward and non-reward rates, and comprises a sampling of rates at various levels of credit quality. So far this year, the spread between reward and non-reward rates has narrowed slightly, with reward rates remaining unchanged at 17.55 percent while non-reward rates have risen seven basis points to 15.32 percent. Looking longer-term though, the spread between reward and non-reward rates has actually risen since mid-2010, increasing from 2.03 percent to 2.23 percent. This wider interest rate spread between reward and non-reward rates effectively means that consumers are paying more for those reward programs. Ultimately though, the value of a rewards program depends not only on this interest-rate spread, but also on the terms by which rewards are earned, and the individual customer's habits regarding the redemption of those rewards. Rates on business credit cards remained unchanged, both for rewards and non-rewards programs. Business credit card rates for rewards programs haven't changed since late October 2010, and non-reward business credit card rates haven't changed since late September 2010. While this rate stability is welcome, it may be because both categories of business card rates are digesting relatively large increases the last time they did change. Non-reward business credit card rates jumped 25 basis points, from 14.47 percent to 14.72 percent the last time they changed. In contrast, consumer non-reward credit card rates have increased just 13 basis points in total since then. Similarly, when business reward credit card rates rose in late October, it was by 18 basis points. By way of comparison, consumer reward rates have risen a total of only nine basis points since then. Student credit card rates saw the greatest change in the most recent survey, rising 17 basis points from 16.23 percent to 16.40 percent. Still, prior to this jump, student credit card rates had been unchanged since July 2010, an incredible run of stability. It bears watching to see whether this recent climb in student rates was simply a case of those rates playing "catch-up" after staying in one place for a long time, or whether it is the beginning of a trend towards higher rates for student credit cards. In addition to sampling credit card rates at a variety of credit quality levels, IndexCreditCards.com measures the difference between rates for customers with excellent credit and those for the market overall. According to the most recent survey, this spread stood at 4.02 percent--i.e., credit card rates for people with excellent credit were 4.02 percent lower than average credit card rates. This demonstrates that there is a substantial reward in today's market for maintaining excellent credit. 0 Responses to "Credit card rates: Student credit cards boost average"